Clinical Efficacy: Bottom line - the product needs to actually work. Over the years, we have tested out 100’s of beauty products (ranging from cosmetics and skincare to beauty devices and in-office treatments), and have learned that 9 out of 10 of them do not actually perform well/produce viable results worth investing in. Products listed below have been tested for a minimum of 8-12 weeks, and have produced objectively beneficial/visible results. Clean Formulations: The cosmetic and skincare industry is completely over saturated with questionably toxic product formulations that contain marginally low levels of active ingredients. Many of these brands are banking off of long-standing brand equity and consumer ignorance to convince potential buyers that they need products they actually do not need, that claim to do things they actually do not do. Every topical product you see listed here has been thoroughly vetted - primarily containing ingredients with an EWG rating of 1, and are free of synthetic fragrances, artificial dyes, harsh preservatives, and an overabundance of useless filler ingredients. Environmental Sustainability: Our planet is dying, and thus demands more social responsibility from everyone - including the beauty industry. Topical beauty brands you see here actively engage in environmentally-conscious business practices, and support sustainability through their packaging. Cruelty-Free: Cosmetic tests performed on animals is an outdated practice - as there are now alternate methods for testing new cosmetic ingredients that do not involve harming a living being. All topical products you see listed below proudly do not test on animals. Everything about Vapour emulates sustainable clean beauty - from their luxurious eco-friendly packaging, to their clinically effective “good for your skin” waterless product formulations. Organic in nature, Vapour is an industry leader in top quality clean beauty - offering an incredible line of professional cosmetics and advanced skincare that is coveted by celebrities and working makeup artists worldwide. We have tried almost every product in the Vapour line (they have a large collection), and are very pleased with their overall performance - with our all-time favorites including (but not limited to) their Atmosphere Soft Focus Foundation, Stratus Soft Focus Skin Perfecting Primer, Illusionist Concealer, Aura Multi Use Stains, and Visionary Advanced Solution Serum. For those of you that are new to clean beauty, Vapour could not be a better place to start. This beautifully-organic cosmetic and skincare line is a newcomer to the U.S. clean beauty market, yet we have no doubts they will quickly gain prestige alongside the other established clean beauty brands. In addition to having impressively clean formulations, all-day wear, and a high color payoff - this brand offers a unique build-it-yourself approach to cosmetics via their customizable palettes - allowing the wearer to select colors they would actually use vs. conventional palettes that almost always include unwanted colors that go unused. From concealer and highlighter, to blush, lipgloss, and eyeshadow - these customizable palettes really have it all! Note: To receive the free full-size product, it must be added to your cart upon checkout. As one of the pioneers in the clean beauty community, Au Naturale embarked on a #cleanbeautyrevolution in 2011 to heighten awareness surrounding how poorly regulated the cosmetic industry remains in the United States, and bring ethically-sourced, entirely non-toxic, cruelty-free, vegan beauty products to the market. We have been using their professional cosmetic line over the past year, and have absolutely fallen in love with the high performance of their lip products, cream highlighters, bronzers, and Pore Minimizing Finishing Powder. If you’re ready to make the switch to cleaner beauty options, we highly encourage you to give this brand a try. Note: For those interested in buying 3 ‘EYES’ - the exclusive code above works out to approximately 33% off each individual eye cream. 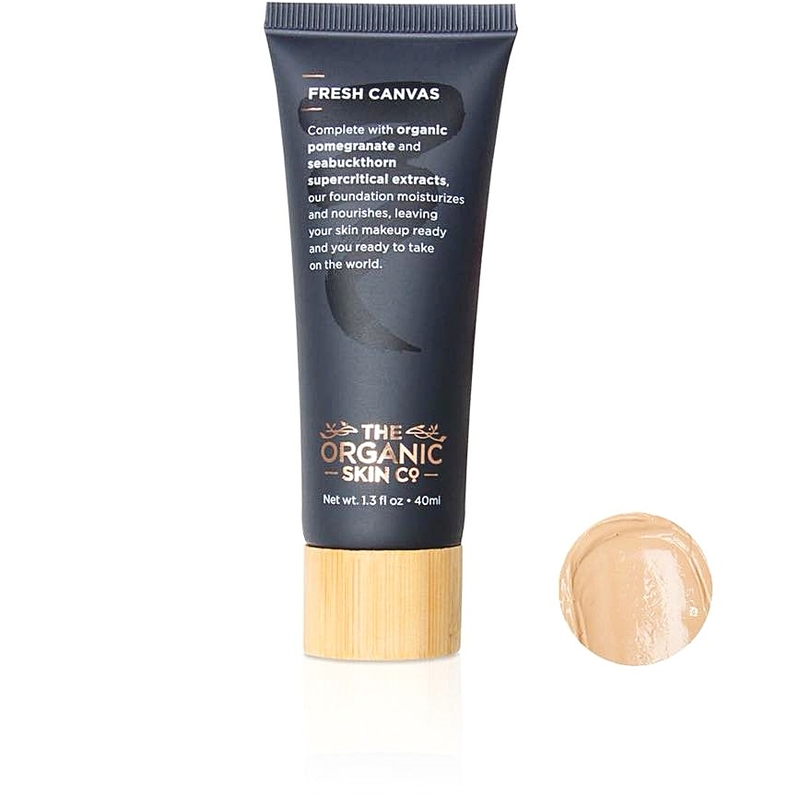 This organic made-to-order luxury line consists of 3 specially crafted formulations infused with high concentrations of potent multi-layered antioxidants, vitamins, and rare essential nutrients that directly target the unique skin tone necessities of the user. The formula complexity of each cream is so extensive, that it is best represented here. This product truly stands out on its own as a leader in organic luxury - with an unbeatable value for a green beauty potion of this caliber. Each ‘EYES’ formula is housed in a brand-exclusive LUXADOR (an internationally acclaimed/award-winning stone composite vessel) that inhibits the cream from breaking down due to UVA/UVB exposure while self regulating the product temperature to preserve its overall freshness, efficacy, and integrity. The VIP pricing offered here represents an exclusive partnership between Austen Parker and the Virginia Stone brand. Note: The new Anti-Aging Skin Nutrients Facial Oil is equally as impressive - one of our all-time favorites to date! Attaining and maintaining beautiful skin necessitates a holistic approach that no topical skincare alone can fully achieve. After trying almost every trending beauty supplement on the market, nothing has compared to the efficacy Lumity has had on our every day lives. These award-winning anti-aging supplements are clinically proven to increase skin elasticity and collagen production, while improving overall energy (a beauty editor from Cosmopolitan even put these to the test - check out her results here). After taking Lumity for almost an entire year, we can confidently say that it does so much more than restoring the skin from the inside out - as it has significantly increased our overall energy, and facilitated regular sleep patterns. These incredible supplements are an investment, but well worth it (after 3 months of use, we have no doubts that 100% of you would agree). Note: For every product purchased, Dr. Lily Ros plants one tree - what an incredible way to support the environment! We have watched this incredible clean beauty brand grow from being an exclusive retailer of natural deodorant, to an ever-expanding non-toxic skincare and cosmetic line. Dr. Lily Ros continues to introduce effective clean beauty products to her line, making her brand an exciting one to follow - we have no doubts that her place and prestige among the clean beauty industry authorities will continue to grow over the next year. Did I mention her absolutely stunning bamboo packaging on the 100% Natural Blush/Bronzer/Shimmer? This waterless organic clean beauty brand offers nutrient-dense product formulations that deliver visible results in as little as 2 weeks of daily use. We are huge admirers of this brand, and have noticed a major change in our skin since incorporating these products into our daily skincare regimen. Bristol & Sussex embraces innovation, and updates their formulations accordingly to deliver effective ingredients of the highest quality to all of their customers. Furthermore, this brand currently in the process of trading in all plastic packaging for more luxurious (and environmentally sustainable) glass. 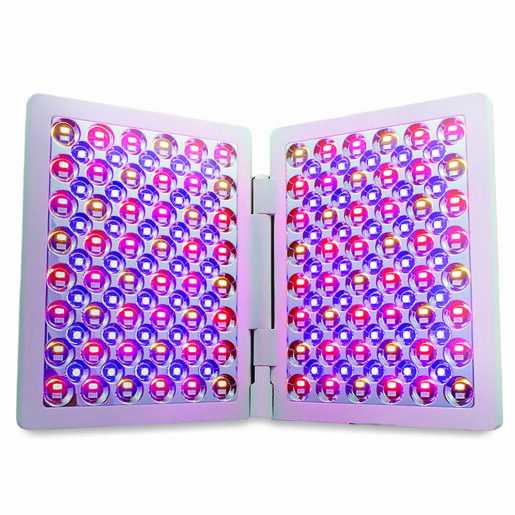 The dpl® IIa Professional Anti-Agiing & Acne Treatment Light Therapy panel is one of the few beauty devices we have tried that has produced objectively substantial results with daily use. We are huge advocates for skin maintenance and age-prevention treatments, and this device does it all. In combination with an effective skincare regimen, this device goes below the skin to eradicate blemish-causing bacteria at the source, while also diminishing the depth of fine-lines and wrinkles. It has multiple settings to address whatever your concerns are, however it is best described here. Note: 25% discount applies to all products - including any products on sale. Nothing beats clean beauty that incorporates clinically-proven ingredients complimented with advanced peptides - something LHB lives for. From Juveleven hexapeptides that revert damage to cells by over 10 years, to marine botanical Antarcticine that deceases wrinkle depth while building collagen and elastin fibers - this brand really has their finger on the pulse when it comes to effective clean beauty. Our personal favorites from LHB include, but are not limited to the Un-Sun Serum, Mature Skin Serum, Renew & Refresh Eye Serum, and Collagen Building Cream. The sustainable packaging, natural aromas, and overall efficacy of this brand are everything. 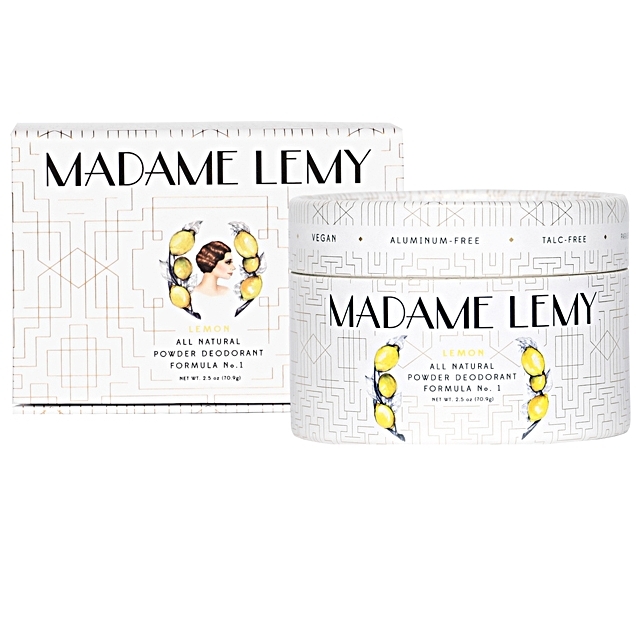 Emulating self-care products of the 1920’s, this powder formula comes available in 4 different naturally-derived fragrances - including lemon, lime, lavender, and rose. In addition to looking beautiful on the vanity/bathroom shelf, this eco-friendly brand actively supports sustainability by omitting plastic entirely from their packaging, while offering refills once the initial product runs out. This brand lasts significantly longer than traditional deodorant sticks (at least twice as long with daily use), and leaves your clothes completely stain-free. Does your brand meet our criteria? For more information on how to have your beauty and/or sustainable luxury brand featured, contact us here.